Our Rome food tour begins in one of the most vibrant and dynamic squares in Rome- Campo de’ Fiori. 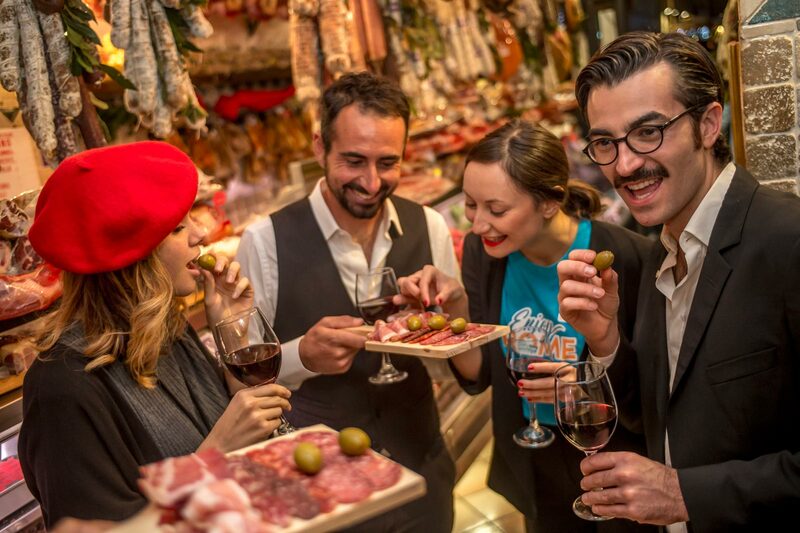 Among bustling cafés and street musicians you meet your guide just in time for a traditional Italian aperitivo - where you will be introduced to a wonderful selection of artisanal cured meats (so superior that they are PGI protected) accompanied by the finest Italian wines. 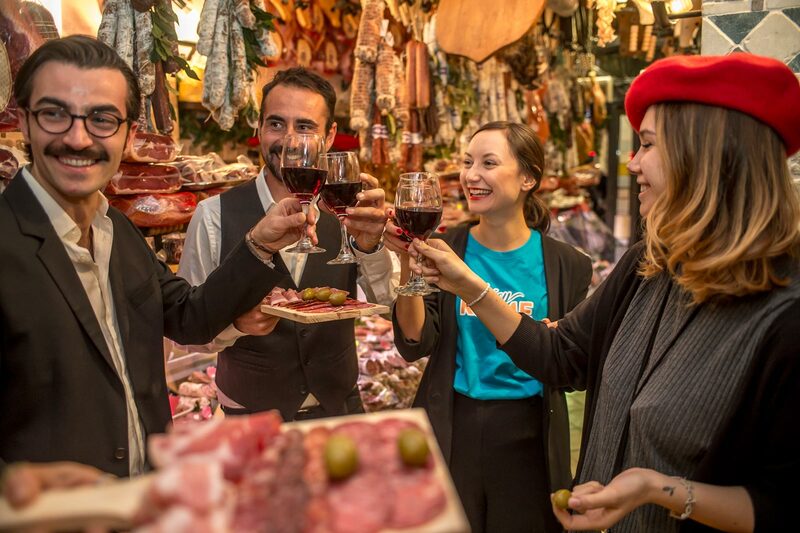 As you stroll around Campo de’ Fiori, your guide reveals the unique and wonderful history of the area before tasting the next culinary delight – cheese. The historic shop on this Roman food tour contains only PGI- protected cheeses of various Italian origins complemented by a carefully selected wine. The next stop on this food tour of Rome will be to taste the famous Roman specialty - ‘baccalà fritto’ (lightly fried fish). Your immersion into the local cuisine continues with a sampling of two other typical Roman foods. A fundamental part of your itinerary and perhaps one of the most important things to do in Rome, you will experience pizza by the slice or “pizza taglio”. 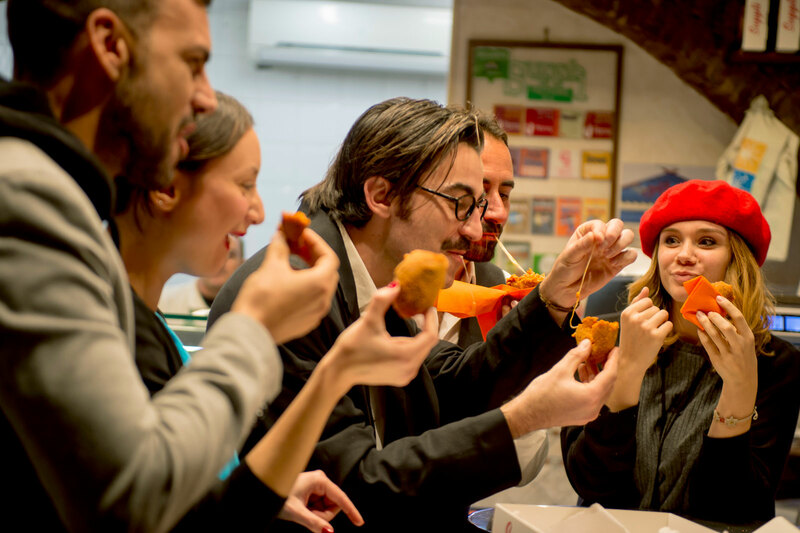 Your next sampling on this Rome food tour around Trastevere is at another eatery that specializes in the scrumptious Italian treat – “suppli”. New flavors that will surely please your palate and satisfy your appetite. After a walk to help you digest a little, you will be ready for supper in one of the coziest restaurants in Trastevere. Known for the quality of its food, this quarter is considered to have the best dining options in Rome. 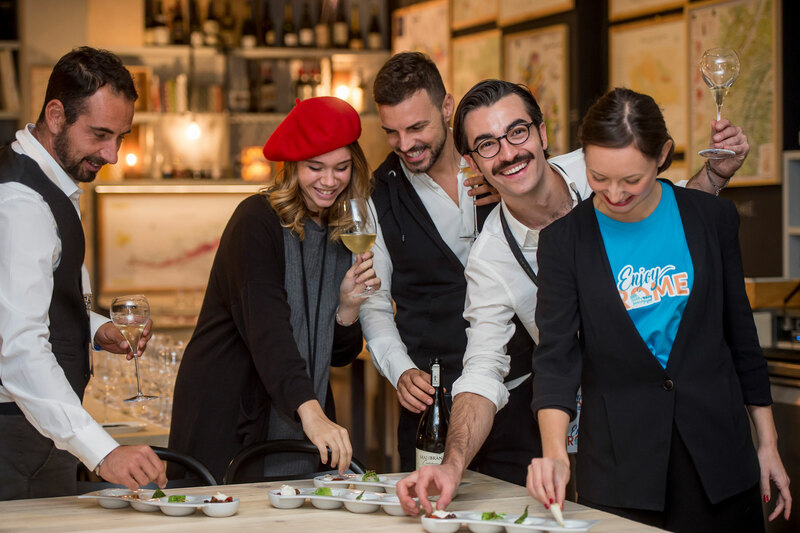 Here you will be offered an exquisite Roman antipasto and two first courses, accompanied by two different Italian wines of protected production and origin. 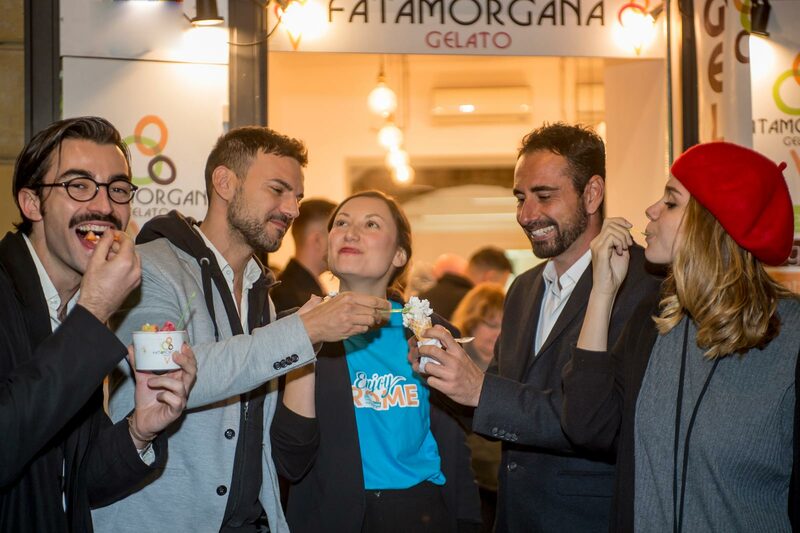 We finish our food expedition in Trastevere with some delicious locally made gelato. 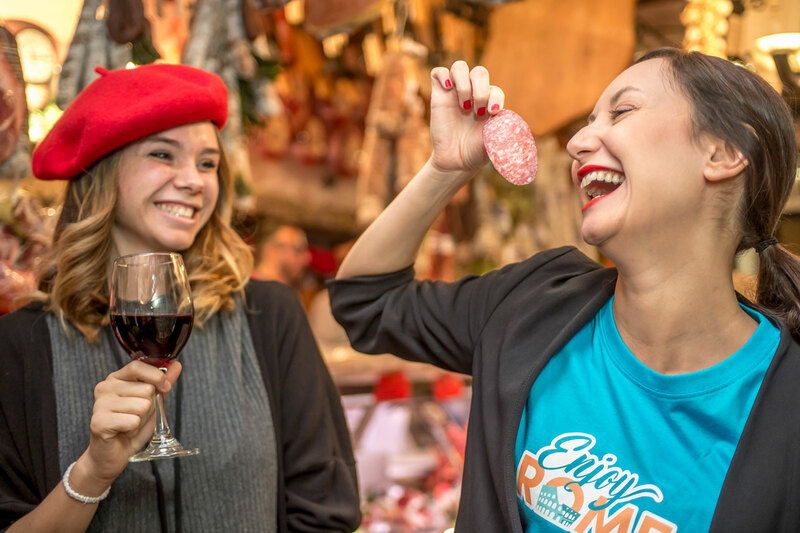 By the end of this food tour around Rome, you should definitely feel satisfied, having explored the tasty delicacies, wines and local spots that are such a fundamental part of life here. We will depart on our 4-hour walking tour from the most vibrant and dynamic square in Rome- Campo de’ Fiori in front of the restaurant La Carbonara. Please arrive 15 minutes before the start of your tour to check-in with a member of our staff. Our tour finishes in Trastevere – a neighborhood popular for its bohemian quarter, occupied by artists, authors and lovers of Roman nightlife. Please let us know in advance if you have any food allergies or food dislikes! Superleuke foodtour gehad met Adriano! 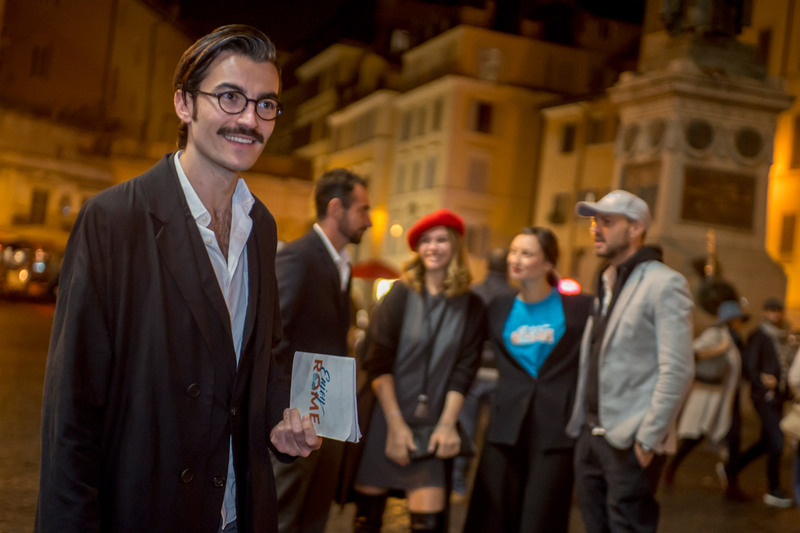 Geweldige tour door het oude centrum en de wijk Trastevere met onze gezellige gids Adriano. Veel heerlijk eten gehad, waaronder typisch Romeinse suppli en pasta's en heerlijke Italiaanse wijntjes geproefd. Echt een aanrader als je Rome bezoekt. Our guide was Adriano, he was fantastisc! Good food and wine. Recommed! Let me start the review by saying I was 30 min late for the tour due to my taxi breaking down. I thought i missed it but our guide Adriano (from Albania) was so nice that he walked all the way back to the starting point for me. Second thing is m vegetarian and my guide (Adriano from Albania) never made me feel that, I had loads of wine, cheese, pizza and pasta (what else do you need). Very friendly people I met. Loved every moment of it. Thank you Adriano from Albania to making my evening very special. This was one of the best parts of our trip! Marcello was friendly and fun! The food was amazing, and we enjoyed learning about the Italian culture and local foods!! Highly recommend! So many delicious flavours in a night! I will never forget you! One of the highlights on our two week trip in Italy. Delicious and fun! Would definitely do it again!! !